Disclaimer! This article is for information purpose only. We do not encourage anyone in any manner to try the techniques or applications mentioned in this article. These days everyone is complaining about their Facebook account being hacked by Facebook hacker and I get tons of emails from such random users asking me to recover their hacked accounts. In the hope of recovering their hacked account, They even start contacting random people online who pretend to be professional facebook hackers and end up paying them money in return for nothing. These fraudsters take advantage of such users in dire need of help. In these circumstances, You should look no further and contact facebook support directly. It has become quite a big problem these days because of poor knowledge of how hacking into someones facebook account actually works. Routinely, I get dozens of emails from users asking me how to hack their girlfriend’s Facebook account without her knowing and some are even ready to pay as much as I wish. Keeping this in mind, I have drafted this article for all the Facebook users out there, who are curious about how to hack Facebook account and how their account can be compromised by hackers. Fairly Facebook is a secure social network and it diligently aims to become better. For the most part, it is impossible to break Facebook’s security system. Yes, I said for the most part because recently I wrote an article on how easy it is to bypass your friends Facebook’s security question and compromise his account with the help of “mutual friends”. Guessing Answers to a Security Question, Is the First thing any Facebook Hacker would do to Compromise somebody’s Facebook Account. I always tell people, If you are a victim of Facebook hack it’s more likely because of your own ignorance and not because of something Facebook had any involvement of. Earlier we had seen how email hacking works and I had covered all the basic techniques used by hackers. In this post, I have explained basic techniques in brief plus some other known ways to hack facebook account. Before I begin, let me clear one thing that “Facebook hacking software” doesn’t really exist. If you are looking for a software that will magically give you password upon feeding any facebook profile then this post is not for you. While, these programs are actually useless pieces of software infected with malware meant to capture your sensitive data such as email, credit card details, phone number, etc. which can be later used for marketing purposes, There are also dedicated facebook hacking websites as well wherein victims are promised a quick password hack for any facebook profile of their choice. But the catch is they need to either pay them or complete CPA offers before hacking begins, which usually ends up with losing money to these criminals, who remain anonymous. Also See: Facebook hack – Find and trace IP address of Facebook user! Keylogging – Facebook Spy app for smartphones. 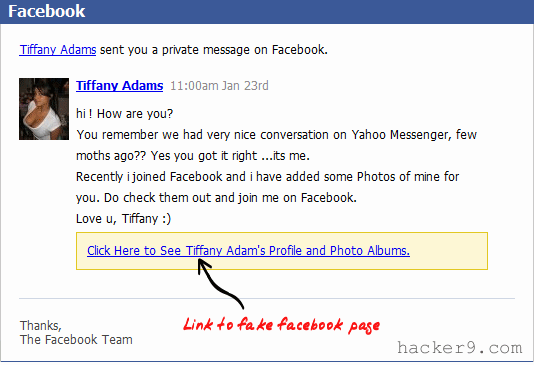 Phishing – Creating fake Facebook Login page (HTML code hack). Using victims mobile to reset the password. Stealing Facebook cookies of the victim. Revealing saved Facebook passwords on web-browsers. TIP! In the above-mentioned 3rd & 6th method, The hacker will be resetting victims password, i.e he will never be able to see victims password. Where as in 1st and 2nd method, the hacker can actually manage to get password and login to his account without letting him know about his account being hacked or compromised. Keylogging is the simplest and the most effective way of hacking Facebook passwords. Anyone with basic knowledge of app installation can install and use it with ease. This method yields the best outcome when you have physical access to your victim’s cellphone or computer. Basically, Keylogger is a piece of software that captures the keyboard strokes entered by your victim. Many office owners use them to monitor their employees. The fact that, it can capture keyboard strokes, it can also capture or record usernames and passwords entered by a person. This is the reason Keyloggers are mostly used as a hacking tool rather than using it as a monitoring tool. The Keylogger comes both in a software form as “Spy App” and in a Hardware form as USB hardware keylogger, which can be installed on a computer or a laptop using an external USB keyboard. Back in my earlier days, before smartphone became a primarily used device for accessing social networks and email, Keylogger softwares for the desktop computer were hit. Today it’s hard to imagine using a smartphone that doesn’t have any social networking apps. And spy apps for smartphones are increasingly becoming a popular tool to hack into peoples Facebook account. Once you install this app on the victim’s smartphone, It automatically runs in the background and starts capturing every keystroke entered by your victim on his keyboard including the Facebook password. I personally recommend mSpy app for capturing Facebook passwords and for other sophisticated Spy features that it offers. It is compatible with all the latest iPhones & Android smartphones. Get it here: mSpy – ultimate spy app! This spy app runs in a complete stealth mode and thus remains undetected. See also: cellphone tapping app for Android and iPhone. Once you become a member of mSpy, your task is to install the spy app module on your victim’s smartphone. It’s comparatively easy to install this app on your kid’s or spouce’s smartphone then your friends or any other smartphone that you don’t have physical access to. Professional hackers do this by using various social engineering techniques, for example, if I were gonna install this spy app on my friend’s smartphone, I would wait and watch him for a perfect opportunity, request him to grab his smartphone to make a call or browser something on the web and perform sleight of hand trick to install the app. Just like software keyloggers hardware keyloggers, capture keyboard keystrokes but requires physical access to victims computer to install it and of course, the computer needs to have a physical external keyboard. A hardware keylogger is a small hardware just like USB pen-drive with internal memory and WiFi access capability. All the captured keystrokes containing including Facebook usernames and passwords will be stored in the internal memory of the keylogger device that is also accessible anytime over WiFi network. 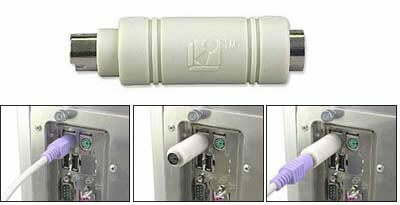 A hardware keylogger is plugged inline between a computer keyboard and a computer. It logs all keyboard keystrokes to their internal memory. These are available in 2 types: PS2 and USB. These days we have only USB keyboards in use. So, I recommend buying a USB keylogger device with good internal storage and a WiFi access to transfer logs over WiFi anonymously to your computer/smartphone or you can even email them to your email address. In case you need a keylogger for PS2 keyboard, checkout the other options here: best hardware keyloggers. Do not want to use any app or software? So, how do you hack Facebook password without software? well, we can try phishing on your victim. 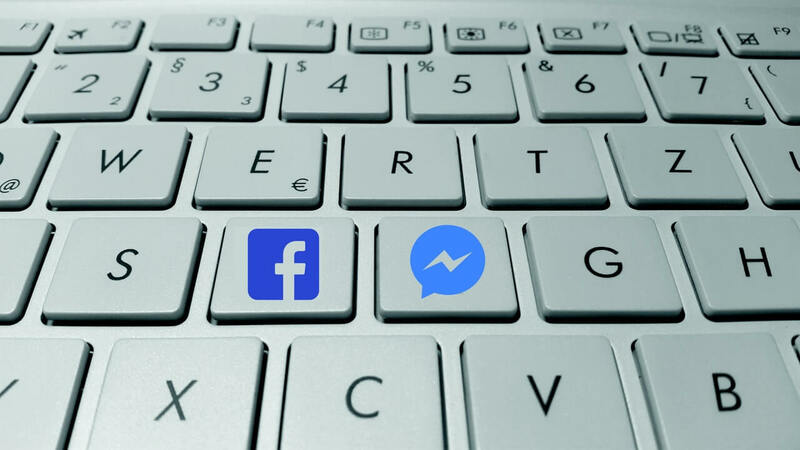 When it comes to hacking any password protected user account on social networking websites like Facebook, the most common, the evergreen method used by hackers is phishing. No matter how well you are aware of phishing attacks, one single mistake can get your account compromised since according to neuroscientists, our brains come pretty much hard-wired to be tricked. In fact, the key requirement for a successful phishing attack isn’t having a genuine looking phishing email, it’s having a working knowledge of the loopholes in our brains. How to hack Facebook account using html code? There are several ways phishing that can be deployed, to hack any user account. But the most popular type of phishing that can hack Facebook password involves creating a fake HTML login page of Facebook and sending this fake page to your victim via email. The fake login page looks exactly like the original one, but instead of sending your login credentials to Facebook’s server, it will be sent to the hacker who developed the fake page in the first place. In other words, when victim logs-in to this fake HTML page using his Facebook credentials, The hacker gets victims login credentials in his email or FTP account. Have a look at this phishing email intended to hack Facebook account. As you can see above, The hacker just tricked his victim in such a way that the fake login page of Facebook appears to be the legitimate one. The disadvantage of this method is, it’s little difficult to trick people because everyone is aware of it. This method could be the ideal one, when it comes to hacking users who often browse their Facebook feed on their smartphones as on the smaller screens hardly anyone would check the URL of the web page, isn’t it?. To know more and learn about Facebook password hack using html code, read our earlier post: how phishing works? creating fake HTML login page? Please note that this method involves a password reset i.e. you will never get to know the original password, instead you will be resetting your victims password. If you can get access to your victim’s smartphone then this method is the proficient way to hack Facebook account. How to hack FB password using mobile? First, go to “forgot my password page” of Facebook and enter the mobile number of your victim. Once Facebook identifies the account, click ‘this is my account’ and choose “send me sms” to recover the password and follow the standard password recovery process. TIP! 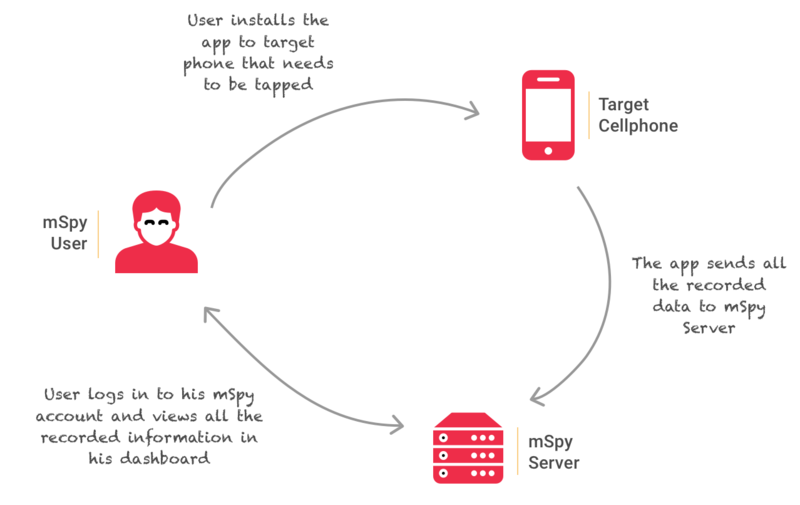 There is an app called mSpy which is basically a spy app that can be installed on your victim’s cellphone. TIP! This method is outdated and it no more works. Using this method you will just get control on your victims Facebook account, But not the account credentials. How to hack FB account without knowing the password? By stealing your friend’s cookie, you will not need to know or reset his/her password. You will directly be able to log into his/her Facebook account as if it’s yours. A cookie, also known as an HTTP cookie, web cookie, or browser cookie, is a file of text sent by a website to a web browser. The Browser stores it and They are then sent back unchanged by the browser every time it connects to that Website. Cookie is used for authentication, identification of a user session, user’s preferences, etc. Cookies are not software. However, Cookies can be stolen by hackers to gain access to a victim’s web account and this concept is known as cookie stealing. In short, If you always prefer to stay logged in to your Facebook account on your computer, I can easily steal your browser cookie and use your login session at my end. However, if you are using Facebook on a secure connection (HTTPS), then it’s not possible for me to hack your account. Revealing saved Facebook passwords from web browsers. I guess everyone is aware of this feature of web browsers, It can remember our login credentials to various websites we browse so that we don’t have to remember or enter login details everytime we visit them. At your home, it is common to have one single computer that is shared by all your siblings and parents. And it so happens that a lot many of us ask our web browser to remember login details to our Facebook account. Chrome: Goto tools >> Options >> Personal Stuff >> Manage Saved Passwords. FireFox: Goto tools >> Options >> Security >> Saved Passwords. Read: How to Bypass Facebook’s Security Question? Can we hack facebook account using deep web? Beware! Deep web is just like a normal web withour censorship. There is no special socftware or tool available anywhere on deep web that can hack facebok accounts. However you can find dark learning resources that you can use to improve your hacking knowledge. You can check best hacking sites & forums for hackers. Do not idulge with anyone who claims to be a facebook hacker on deep web as well as normal web. There are hundreds of scam websites that claim to be the experts in Facebook password hacking and are ready to hack any account. Many people fall prey to these websites and lose their hard-earned money. Never trust these websites that provide Facebook hacking service or Hack facebook password online service. I have already revealed in my last post that, There is no ready-made Facebook hacking software that is available to hack Facebook password. These are completely fake software’s. There are numerous fake facebook hacking softwares such as 007 facebook hack software, Facebook ID hacker software, etc. Please Stay away from these websites that claim to hack accounts using victims profile ID. When Facebook rolled out its new email (messaging) service, some smart hackers registered cool email addresses like password.recovery@facebook.com, recover.password@facebook.com, etc. and now they are using these accounts to trick Facebook users. This is a commonly used social engineering tactic in an attempt to know someone’s password. You will often see such fake articles about Facebook hacking. Never indulge in such scams.